Description: The bilateral, magenta flowers have a narrow, hairy, beak-like upper lip and a broader lower lip with 3 yellow-tipped pouches. 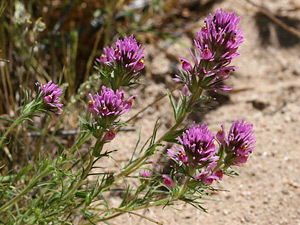 The flowers are surrounded by magenta-colored bracts that are densely clustered along the flower spikes. 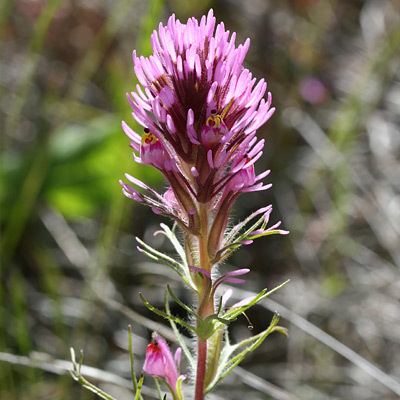 The leaves intergrade with the bracts and like them have 5 to 9, slender, glandular-hairy, primary lobes. Seeds of this spring wildflower are commercially available and are commonly included in wildflower seed mixes.